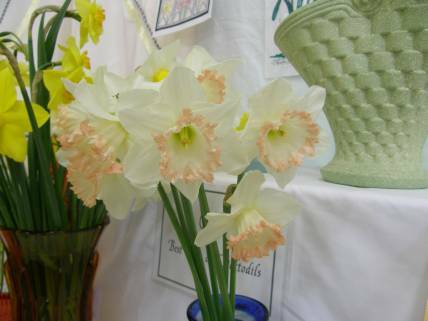 All Saints is hosting the second annual ‘All Saints Daffodil, Art and Photography Show’. The weekend of 15 & 16 September will see the All Saints Church and Hall bedecked in the glorious colours of daffodils and a display of stained glass. Come and learn about growing, breeding and showing daffodils or book a tour with Duncan Foster (stonemason) or Gavin Merrington (Stained Glass expert). Members of the community, young and old, are encouraged to enter Community Classes which range from a simple arrangement of garden flowers in a vase to photography, original artworks and colouring-in for all ages. Prizes will be awarded for winning entries of all Community and Standard classes. 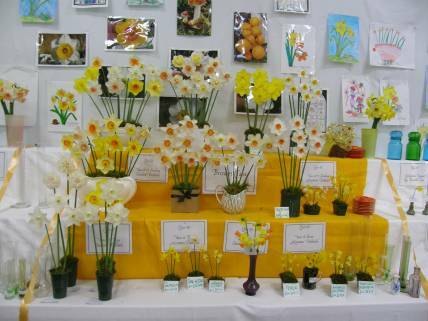 Members of the daffodil community planning to attend the Launceston Show on the same weekend can lodge their entries for All Saints Daffodil Show on Thursday 13 September from 1pm to 6pm at All Saints Hall. 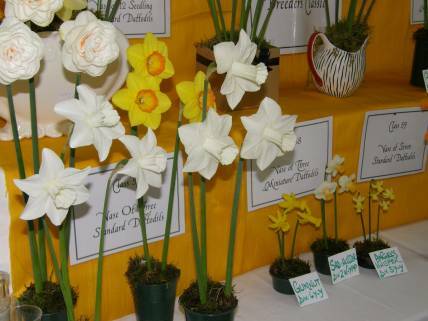 Specialist daffodil classes will be judged at 10am on Saturday 15 September. Prizes will be awarded at 3.30pm Sunday 16, and refreshments will be available all week end. The vase theme for this year’s show is “retro-glassware and early bakelite/plastic”. 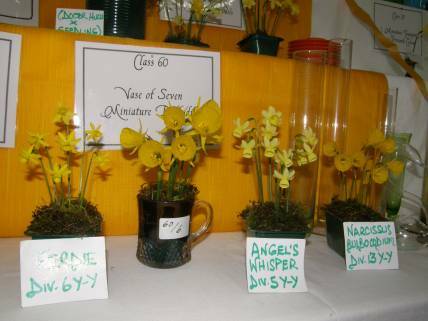 So dust off your old vases, pick some flowers from your garden and arrange them at the show. All Community Classes will be judged at 3pm on Sunday 16 September, enabling potential exhibitors all weekend to lodge their entries. Budding artists are encouraged to come to the show, and either colour-in an original line drawing by Rod Barwick or create an original work. On Saturday 15 September “Ethereal” Celtic Harps will be playing from 10am in the garden where refreshments will be available. From 12.30pm “The Old Time String Band” will perform. A string quartet will give a recital in All Saints Church at 3pm on Sunday 16. Kids will enjoy the face painter who will be available both days. The Jesse Tree (All Saints Op Shop) will also be open during the show along with a Garden Market both Saturday and Sunday. The show will be open to the public on Saturday 15 from 10 am to 4pm and Sunday from midday to 4pm.